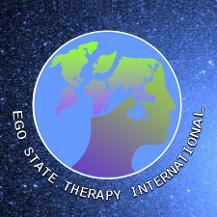 Ego State Therapy International -ESTI was established during a meeting in October 2011. During this meeting Ego State Therapists from different countries and continents shared their ideas on Ego State Therapy as a therapeutic modality as well as on training guidelines. · To advance Ego State Therapy as a therapeutic approach internationally. · To promote the dissemination of information about Ego State Therapy. · To establish and coordinate minimum training standards for Ego State Therapy Internationally. · To promote and encourage research amongst students, researchers, clinicians and professionals. To disseminate, encourage, and promote the clinical practice, theory and training of Ego State Therapy as established by John and Helen Watkins, worldwide. Promoting Ego State Therapy by guiding, assisting and training professionally qualified clinicians in health-related professions in the effective, ethical application of Ego State Therapy as therapeutic modality and by encouraging rigorous and evidence-based research in Ego State Therapy. Integrity, Integration, Unity in Diversity, Creativity, Ethical standards.